A lefty activist group in the Brattleboro-Putney area has a unique plan to combat creeping Republican electoral control — scorching hot liquid. No, members don't want to tar and feather right-wing politicians. The collective wants to give you a steaming bowl of soup. Southern Vermont's chapter of the Sister District Project aims to "move our political structures in the direction of sanity, compassion and justice by supporting 'swing races' across the country." 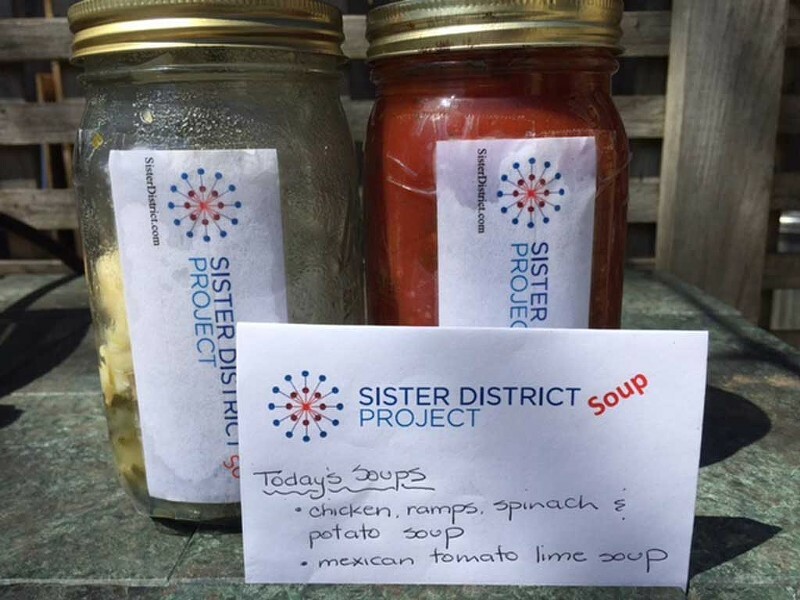 The chapter has started a soup CSA, modeled after community supported agriculture programs that provide patrons farm-fresh fruits, veggies and meats. That's right: For a $100 fee, the activists will make you two quarts of soup monthly from June through September. (A half subscription costs $50). The money for your broccoli bisque goes directly to Sister District's national organization or, if you prefer, to the campaign of John Bell. He's an incumbent Democrat in the Virginia House of Delegates who faces a tough challenge in November's election, said Peg Alden, a cocaptain of the southern Vermont chapter. The group is still fiddling with its menu, said Alden, but plans to source ingredients for the unique concept as locally as possible. And those who live out of town but want to pitch in can donate their share to the Putney Food Shelf, according to Alden. This being Vermont, vegetarian, gluten- and dairy-free options will be available. So far, Alden says, the group has signed up 16 subscribers but is aiming for about 60. If it takes off locally, Alden hopes to expand the concept to similar groups. "It's a simple, replicable model — and it's delicious!" Alden said. For more information, email svtsisterdistrict@gmail.com.